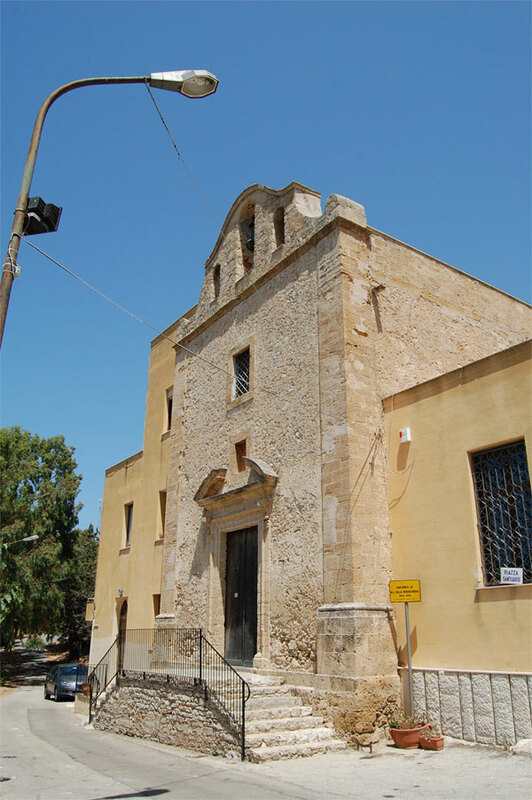 The suggestive Santuario di Maria Santissima della Misericordia, rises on the site where an aedicule of the Madonna with miraculous powers was to be found; it was built between the XVII and the XVIII century and completed by the architect from Trapani, Biagio Amico. It was begun in 1640, in the place where there was a small, almost abandoned chapel holding the image of the Madonna. The devotion towards this image returned following the miraculous curing of an old man from Erice called zio (uncle) Girolamo Verderame. In 1769 it was embellished with stucco and frescoes. It is square and oblong in shape, with a nave and two side aisles and the large chapel where the beautiful painting of the N.S. della Misericordia, by Andrea Carreca is to be found.